Daniel Remon B. HMSc, TPI-GFCI. Golf fitness is a catch phrase these days, just like functional training. 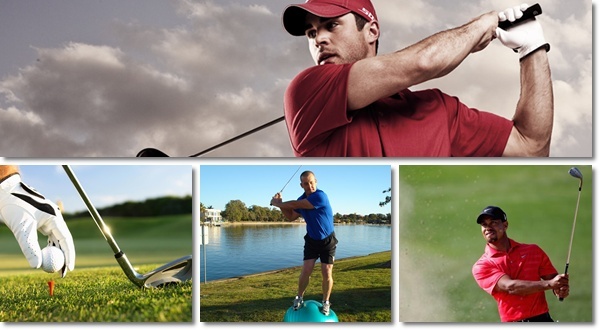 But how can exercise benefit the average golfer? And what ‘is’ a good golf fitness program and how can it help? Like any sport specific training programs, we must break down the components of the sport and develop specific integrated movements and exercises that replicate the transition of each movement. We take into account joint movement, speed of contraction, repetitions, weight loading, range of movement and overall objective of the exercise. 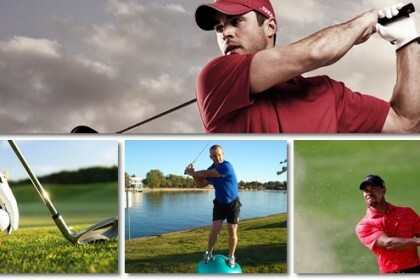 A well designed golf fitness and conditioning program will help you play better golf in a number of ways. These include improved core stability and posture, better rotation, shoulder turn and range of movement to create a longer smoother swing arc, enhanced power to drive the ball further, and perhaps most importantly, to prevent injuries, especially later on in life. It is essential to correctly assess a golfers needs. Being a certified TPI golf fitness professional we use the same testing procedures as the PGA and LPGA, and have learnt from those who actually train the PGA and LPGA professionals and access the same research from the last 11 years studying the human body and how it relates to golfing performance. Conditioning the body will not only improve the above mentioned areas of the golf swing, it will create more efficient movement and biomechanics. This leads to much lower pressure on the lower back. Those with a less efficient swing biomechanics will try to generate more torque and power from the lower back, causing the muscles in the lower back to work much harder, fatigue faster and be more susceptible to injury. Research shows that professionals generate 34 percent more club head speed than amateurs, yet amateurs produce spinal forces 50 to 80 percent higher, and 50 percent more trunk muscle activity than the professional. This comes down to positioning, conditioning and sequencing. Ever wondered why professionals seem so effortless off the tee yet drive the ball 300 yards? 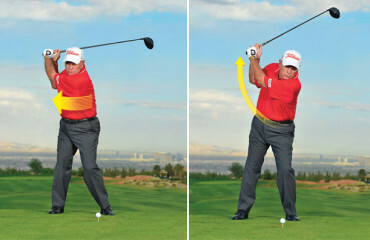 Swing mechanics. After years of training, practise and conditioning, professionals are more efficient, can achieve more power with less integration and better integration and co-ordination, therefore minimising the strain and pressure on the lower back. And making millions of dollars along the way! So make sure your ‘golf fitness’ program is specific to the game and work with a golf pro to work on your swing mechanics. Bring this article to receive your Free Report: The 5 Most Important Pre-Round Stretches to Help You Drive Further Off the First Tee AND get 50% off your TPI Golf Fitness Assessment. Daniel is the Managing Director of Fitcorp Asia. Thailand’s leading health, fitness & performance company. Daniel is Thailand’s first and only TPI (Titleist Performance Institute) Certified Golf Fitness Specialist, featured author and contributor.